It's still pretty early in the year but I'm pretty confident when I say that this will be one of the best works of fiction you are likely to read in 2018. Kevin Powers announced his arrival on the literary scene with his debut Yellow Birds, a powerful novel of modern war which went on to be a finalist for the National Book Award. Now he returns with a searing story of the Civil War and its long aftermath. 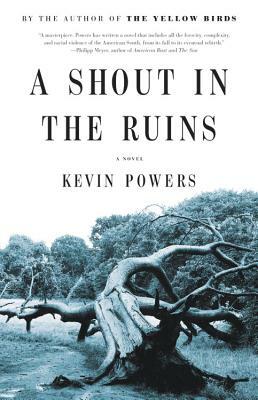 Spanning over one hundred years and featuring a cast of characters whose lives are interwoven seamlessly, A Shout in the Ruins is a stunning achievement.